What Causes Rose Buds to Turn Brown Before Opening on Bushes? Life may not be a bed of roses, but growing a bed of roses (Rosa spp.) captures life's hopes and disappointments more than most gardening experiences. 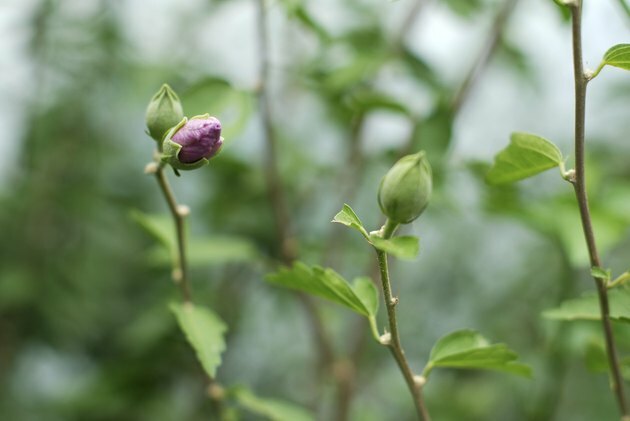 Not many plants trigger such anticipation with their burgeoning buds or bring such heartbreak when their buds fade to brown, taking the hope of headily fragrant blooms with them. In order to spare yourself from this fate, keep your roses' buds warm, dry and bug-free, and your rose bed clean. Depending on their variety, roses are hardy in U.S. Department of Agriculture plant hardiness zones 2 through 10. Where mild winters keep rose buds coming, a few hours of frost can shrivel and brown them. Even worse, frost-injured rose stems, or canes, may develop a canker fungus infection. Avert disaster by watering your roses as soon as the forecast calls for frost. Moist soil retains heat during the day and releases it to the plants after dark. Cocooning the plants in bedsheets before the temperature dips below 40 degrees Fahrenheit minimizes their frost injury. Uncover them in the morning before they overheat. Rose buds deteriorating into brownish-gray mush have Botrytis blight, better known as gray mold. Moist, mild weather with temperatures are 62 to 72 F encourages the fungal disease. The drooping buds may not open; if they do, the blooms may resemble brown pulp. As the infection moves down the canes, cankers mark its progress. Mail-order, bare-root roses often arrive with stowaway gray mold spores. Remove such roses from their packaging sleeves immediately, and plant them far enough apart so they have good air circulation. Keeping their leaves dry when you water the plants helps because gray mold spores need moisture to germinate. Remove old or damaged blooms promptly, along with the diseased plant parts and soil debris. Disinfect your pruning tools in a solution that is one part household bleach and nine parts water between cuts and after you finish pruning. The infected plant material should be disposed of in sealed plastic bags. Chronic gray mold in roses can be treated by spraying the plants with a premixed, ready-to-use chlorothalonil fungicide as soon as their buds break in spring. On a cool, overcast day with calm rather than breezy conditions, put on clothing that covers all of your skin, closed-toe shoes, a face mask, gloves and goggles, and spray the fungicide until it drips from the rose bushes. Repeat the application weekly while cool, damp conditions persist. Each time you use the spray, keep the area around your roses off-limits to people and pets during spraying and until the spray dries. Thrips insects invade rose buds with ease; placed end-to end, 25 of the yellowish-brown or black bugs stretch less than 1 inch. After overwintering as pupae in grass and soil debris, they ride spring breezes to plants, tunnel deep into developing buds and feed on sap or pollen. Brown-scarred bud sepals -- the narrow, green outer petals -- indicate the presence of thrips. The buds either remain closed or open with brown-streaked petals. In mild-winter locations, thrips may breed all year. 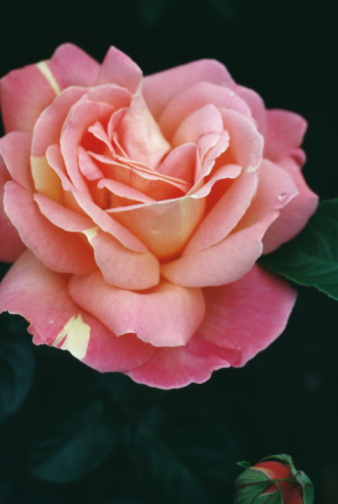 Treating developing rose buds with ready-to-use insecticidal soap prevents damage from thrips. Unless the insecticidal soap's label indicates otherwise, spray the product every other day, coating only the buds until they drip. After drying, the soap won't harm lacewing larvae and other thrips predators. Flooding the soil around your plants periodically in late spring and summer drowns thrips pupae and interrupts the insects' breeding cycle. Passionate for travel and the well-written word, Judy Wolfe is a professional writer with a Bachelor of Arts in English literature from Cal Poly Pomona and a certificate in advanced floral design. Her thousands of published articles cover topics from travel and gardening to pet care and technology. What Is Eating the Flowers on My Petunia Plants? Are Rose Bushes Poisonous to Dogs?